There is no hard and fast rule for how to format montages in screenplays. 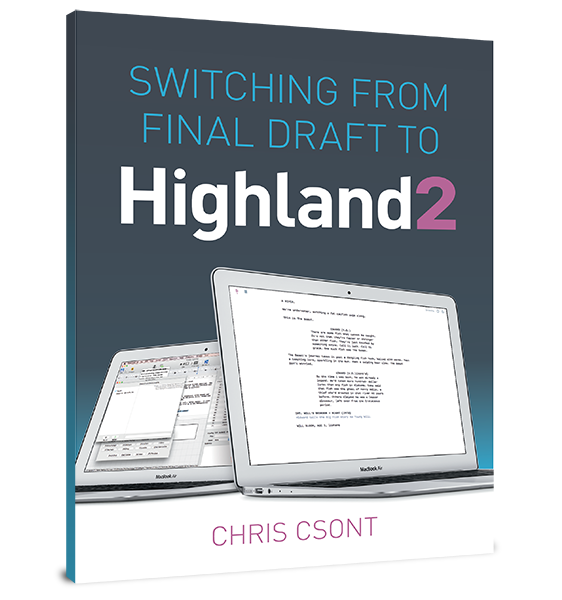 As with all formatting, the goal is to express what’s happening on screen as clearly and simply as possible, without breaking up the flow of the screenplay or taking your reader out of the script. The following are a few montage formatting options. Any of them are okay, but a screenplay should pick a style and stick to it. Sal walks in and sees the place is a mess. Noel isn’t far behind. Sort of like a “Wax on, wax off” thing? Ummm...yeah. Let’s go with that. -Noel drags a medium-sized weight. Sal walks by in the background, easily carrying three of them. -Noel carries a bench-press bar, losing his balance. A few feet away, Sal bends over to examine the bench, ducking just in time to avoid Noel’s flailing bar. Neither notice. -Without looking, Sal tosses medicine balls to Noel, who jumps out of the way like they’re dodgeballs. -Sal drags a treadmill across the gym. Noel attempts to do the same, but can’t budge it; his feet move as if he’s walking, but he goes nowhere. Sal stands in the newly-reorganized gym, proud. Noel tries to answer, but can’t catch his breath. Andrew and Sadie sprint down the supermarket isle, collecting ingredients. Lee runs to them, flour in hand. -Sadie mixes a bowl of flour, egg, and other ingredients. -Lee and Sadie are elbows-deep in the bowl, kneading. -Andrew tosses the pumpkin mush across the room; Lee catches it in another bowl. -Sadie puts it in the oven. -Andrew takes it out of the oven. Lee cuts Sadie a piece, and she eats it off his fork. The printer finishes as Professor Barbag gets ready for bed. Whatever’s printing is coming out face down. He walks over to the desk to turn off the light, and just before he does, he picks up the paper. He looks at it, smiles. A) INT. THE CLASSROOM – DAY – Barbag sketches a diagram on the whiteboard. Students copy it down. B) INT. HOME DEPOT – DAY – Sandra and Eli buy tools. C) EXT. THE FIELD – DAY – Vince and his Crew steal bolts off the benches. Groundskeeper Wilhelm chases them away. D) EXT. CONSTRUCTION YARD – DAY – Phil and Marco buy scrap metal. E) INT. THE CLASSROOM – EVENING – As the sun goes down, Barbag and the class build. Professor Barbag runs through The Quad carrying a paper sack full of bagels. He’s panting. A) Dragon’s Den – Young Lance hop-scotches while the newly orphaned infant dragon searches for her deceased mother. B) Mountainside – Twelve-year-old Lance takes the baby dragon out of the cave for the first time. Her eyes adjust as she takes in the sight. C) Beach – Teenage Lance jogs along the water as the young dragon practices flying, stumbling like a kite in a thunderstorm. D) Woods – Eighteen-year-old Lance runs along side the gliding teenager, and he hops on. The dragon flaps her wings, and they take off. E) Outside the Cave – Adult Lance is cutting a serving of meat off a freshly-killed cow. He whistles as he puts the cut on the fire. Responding to the whistle, the dragon pokes her full-sized head out of the cave. She devours the rest of the cow in one bite, smiling as she does. A third method for handling multiple locations is to slug each one as its own short scene. It’s often the best choice, particularly if more than one thing happens in each scenelet. With this method, you may choose to not even indicate MONTAGE, as the short scene descriptions may make it obvious.